You will remove your shoes and socks, fill out a brief medical history sheet and get acquainted with the Reflexologist. You will discuss any current heath issues. You will relax in a comfortable reclining chair or you can choose to lie down on a massage table. I will cleanse your feet and begin to work on your feet, or hands if you choose. You can choose to listen to soothing music playing or simply relax quietly. You may even fall asleep. If you choose you can speak to Reflexologist during your session however you will definitely enjoy and benefit from the treatment when you sink into a state of calm relaxation. Reflexology is very soothing and relaxing, and your Reflexologist will also ask you if the pressure is too strong or too light. However from time to time you may notice some sensitivity. Usually the first encounter with a sensitive point will release the block and it will go when the Reflexologist works on that area again. Reflexology works only the feet or hands, and the client stays fully clothed. The entire body is worked by means of reflex areas on the hands or feet. The practitioner focuses on locating points of congestion and working them out with finger and thumb pressure. The entire foot and ankle area or hand area is worked and the blockages and congestion are released. This results in profound relaxation and stress release. A foot massage is intended to relax the muscles of the feet and focuses only on the structures of the feet. Sessions are generally 60 minutes. The first session may be 75 minutes as you will be completing a medical questionnaire and getting to know your Reflexologist. Sessions for children and seniors are about 30 minutes. Sessions with babies are approximately 15 minutes. This depends on your current health issues. Chronic conditions require more sessions until the issues clear. Acute issues can be treated in a few sessions. For general health maintenance one or two sessions a month is suggested. Are there any side effects from reflexology? There are no known adverse effects of reflexology. Although the body will release toxins, similar to massage therapy, it is safe, non-invasive therapy. It is holistic, offering support to the body so that natural restoration of balance and good health can occur. Do I have to do anything different after a Reflexology treatment? Drink plenty of water after your session and for the following day so that you can flush the toxins from your body. Do you work on babies, children and teens? Yes. 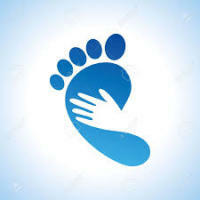 The Reflexologist will work on babies, children and teens. Reflexology helps children to stay calm, focused more and improves their sleep pattern. Teens benefit from reflexology’s positive effects especially on their energy levels and hormone system which helps them to cope better with acne, allergies.